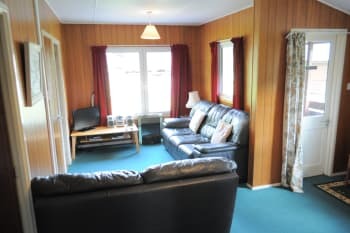 The owner had put the heating on ready for our arrival making the lodge cosy and welcoming. Lovely location and scenery. Warm and cosy chalet. Satnav location not 100% accurate. We had to ask around. Best to call ahead and ask for some directions. No network coverage in the area. Lovely stay, very cosy chalet. Glenelg inn (a couple of miles down the road) is particularly good. Location is good for local hill-walking and Isle of Skye was nearby too. Check the ferry is sailing if you are staying here to catch the Glenelg to Skye ferry. Loved every minute of it. Amazing house with everything you need. I recomment Having your meals at the Glenelg In. sadly our holiday was blighted by terrible weather but we still enjoyed the chalet and situation. I can't speak highly enough of the chalets, they are in a really beautiful setting and really cosy. It is quite easy just to settle down on the sofa and forget about city life. The views are stunning and i am already planning my next trip. The Glenelg Inn is about a half hour walk - don't forget your torch if you are heading there for dinner. The staff were really friendly and the food was delicious. A very good place to stay for families. Full kitchen for cooking anything you like. Washing machine and dryer are available for free. Friendly and helpful owner lives on site. A bit old fashioned, but you cannot ask for more for the price. Rural area, very quiet and with nice surroundings. Few miles away from village with excellent pub. Had a lovely time at glenelg. Amazing location scenery is beautiful. No mobile reception for us but good wifi Chalets as described very clean. Chalet de bois dans une vallée très calme. Endroit ideal pour un bain de nature. Accueil chaleureux et disponible. A beautiful place with an awesome home, thank you so much for your availability, see you soon! Perfect location for people who wants to explore nature. Roomy chalet. Ideal base from which to explore local area as well as Isle of Skye. Beautiful surroundings. Watched sheep and their baby lambs, cows and fence jumping goats from our lounge window. There was always something to interest us. Glenelg Hotel provided good meals. The local Community Hall contained a lovely friendly cafe and is quite close to the car ferry to Skye. Wonderful mountainous scenery locally and Isle of Skye to explore during inclement weather. Good kitchen equipment to enable preparation of meals when one felt like eating in ocasionally. The chalet was lovely and the location amazing. I loved this place! Fab location, lovely chalets, helpful hosts. Watch the sea eagles feeding at the ferry. Bring everything you need with you: food is essential as no close shops. Chalets are a bit outdated, however kept in good order. Loved the picknick-tables outside. Kitchen is well stocked and has everything you could possibly need. Location somewhat remote, but great for peace and quiet. Staff is very friendly and helpful! Don‘t miss the Glenelg Inn and the scenery to the ferry! We visited In May with our dog and were greeted with a warm and friendly smile from the owner. The chalets are perfect for a short break where you can explore the local area or make the ferry trip over to Skye. We decided on the former but will be back to take in the Island and all it has to offer too. 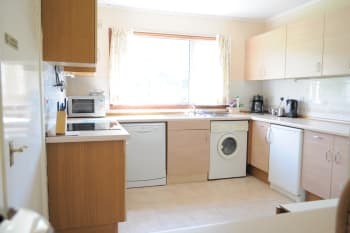 Great location, about 1.5M to the Glenelg Inn (also dog friendly) with decent beer and food, and a small shop with some of the essentials you might need whilst away from home. Effie was very accommodating and we had a very comfortable stay. We had a wonderful time and intend returning in September.A magical spot with the journey there part of the experience. Go and visit the Brochs. Fantastic stay! the chalet was smart and had everything we needed. I thought it was a bit far off the beaten track when I booked it but now I know the route is so beautiful it is worth every mile! Beautiful location. Nice comfortable cabin. Bathroom could use an update and the pan for baking meat is not the best anymore. We love the sheep, the cows and the goats. You could do more with that (give people the opportunity to touch/feed/..... the animals). Look for fossils on the beaches near Staffin and visit the Dinosaur museum! Very warm and cosy. Everything we needed for our stay was in the cabin. Our children loved seeing the lambs & goats in the field opposite the cabin. Cob webs on ceiling but appreciate it's a very rural location and this can build up quickly. Tap in the bathroom sink about to break, very wobbly. I'm not a big fan of jacuzzi baths as I think they are too difficult to clean properly, I'd personally remove it or replace but this is just my personal opinion. Overall a great stay well worth the money. Pub in glenelg worth a visit, boat trip on Skye from Elgol was brilliant. Took the ferry from Glenelg to Skye & the Bridge both a good experience. Enjoyed castle visit too. Not enough time to do everything we wanted in our 3 days. The equipment in kitchen could be better. Also water pressure in bathroom could be higher but it is nothing what could spoil our stay. Chalets are cosy and we really enjoyed our stay. We arrived late but we had chalets open and ready to get in. Everything was set and ready for our stay. We use the place as a good start point for trip to Isle of Skye and Loch Ness. Perfect location in the mountains. Had the 4 most wonderful Days holiday in Glenelg,the scenery was wonderful a few miles from Skye,also visited Portree,the sights I will never forget,the 5 sisters,3 three sisters,the surrounding scenery was wonderful.we used booking dot com,no problems at all,our accommodation was wonderful everything you want for a holiday,spotless ,warm,and a lovely person called Effie was there to meet us,wish we could have stayed longer. We visited the Glenelg hotel which is stone throw away from the Chalet,it was wonderful,lovely food and lovely people that served us,please try this hotel you will not be disappointed,we also went to Portree loved this wee town,went to so many places had the most wonderful 4days holiday,my husband,my grandson and his Canadian girlfriend were with us,a holiday to remember. Chalet was clean and properly heated. Has all the needed things required for a holiday stay. It was nice experience over there. I liked the way of service they provided. Its something different from others and everyone really like it. Great place .. great services and great facilities. Price for a group of people is affordable than ever. Thanks for the people behinds this . Glenelg inn is a mile and a half away and the food was really good. We took a slow cooker with us to the chalet to keep the cost down and this worked well for us. We visited Skye. Eilean Donan Castle and toured round Kyle of Lockalsh, Plockton and lots of little back roads with woodland walks. The view as you come to Glenelg is spectacular at the top of the pass and a must to stop and take in. Very nice place, we come back later! Take the Ferry to the isle of skye. En walk on the island. Really great experience. Chalet was in the middle of the field, with nice views. We spent there 2 beatyful days, thank you. Enjoyed the closeness of the nature, the hills, the sheep, the dogs. We enjoyed to be far from the "civilisation". We enjoyed to have a small house with all we needed. The pub in Glenelg is super, good peace for a dinner. To go to Skye by Fery is nice; we`ve met seals on the way. Lovely cabin. All amenities you need including towels. Chalet très agréable, très propre. Vraiment au calme en pleine nature. Très bon accueil. Isle of Skye grandiose quand le temps est dégagé!!!! Il faut absolument prendre le petit ferry de Glenelg! Arnisdale hikes. Beinn Sgritheall specifically hard to describe the views from the top. A tough hike though. Donan castle ( crowded though but very educated staff.) Glenelg brocks. Well-equipped spacious chalet. Beautiful area; close to Skye Ferry which is a tourist attraction on its own. Die Cottages sind wirklich sehr süß, sauber und mit allem ausgestattet was man so braucht. ABER sie sind innen aus den 50ern und so riechen sie leider auch. Wie Omas Kleiderschrank. Zudem ist die Gegend doch sehe abgelegen, für den kürzesten Weg (Fähre) bezahlt man jedes mal 15 £ und der Weg über die Berge jedes Mal ist eine Herausforderung. Macht euch bewusst wo die Cottages genau liegen. Wer es ruhig und abgeschieden mag ist hier genau richtig. Nicht mal Handyempfang vorhanden der stören könnte. the landlord is a very nice grandma, the house is very comfortable with 3 bedrooms and kitchen. from the window of the kitchen, a big farm and beautiful view could be seen very straightly. very good choice for travelling in Highland of Scotland if you drive here. the only thing that not very satisfied with is the location is in the Mountain, you need to drive 30-40 minutes from the feet of the mountain. not go to the other side of the mountain after 18:00 if you drive a car, because the ferry is only before that time, or you need to drive more than one hour to come back. Restaurant du village, très sympathique et typique avec un bon rapport qualité prix. Pratique le Ferry pour se rendre sur l'isle de Skye. If you like to get away from big cities and noise this is the place to be. 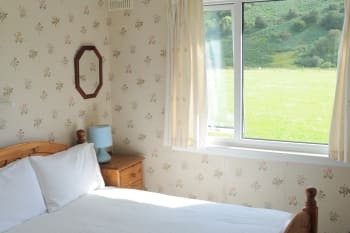 Beautiful area ...enjoyed the cows and sheep grazing outside our dining area and bedroom windows. Much of the road is one lane...definately need a gps to find. Quaint little village with a pub, close to a little ferry that takes you to Isle of Man. Wonderful place, very welcoming host, wonderful scenery. Will definetely go back. The only downside was lack of mobile phone coverage. A lovely location, In the middle of an uncontaminated nature. Silence, peace, close to a nice village where you can enjoy beautiful hiking and where you can move to Skye with the Ferry. The most memorable stay in our entire 10 day tour of Scotland located away from hustle bustle. Reached late but the land lady was nice enough to call up an owner of a near inn to take our meal order though they were closing. Would have loved staying for 2 more days. I would like to recommend that a person must be allowed to look after all the chalet needs. Not that we needed anyone but it helps. If you are moving about in a car this is a good central place to stay. One can start from Malaig to tour Isle of sky and return by skybridge to stay at the lemon chalets. There is a Glenelg ferry service to isle as well but do research that. Glenelg inn about a mile away is a must go place for dinner. Andrew there was a good host and loved the crowd there. People are super nice and the landscape is amazing! Great view location, nice place to have a wee break. Very very helpful and welcoming lovely people, very comfortable home from home accommodation.will certainly be going back for another visit. Near Eilean Donan Castle, worth to visit for a while Glenelg. It has been the best experience on the mountain. the wake there was a big surprise because we arrived at night. these villa are inside the mountain with animals. It has all the amenities. in cleaning 10. Spanish: ha sido la mejor experiencia que he tenido en la montaña. Fue una sorpresa despertarme alli, ya que llegue de noche. Tiene todas las comodidades. Y en limpieza tiene un 10. Inmejorable. La mejor experiencia que he tenido. for all kinds of people who likes nature. Spanish: para todo tipo de personas que le guste la naturaleza. Impresionantes vistas. Lovely place for holiday with family and friends. Contact with nature and beautiful scenery. Loved it. Would stay again. Love being off beaten path. We were supplied with everything we needed. Mrs Lamont was delightful and very helpful.We spent 9 nights there and could have enjoyed more. The environment is so peaceful and relaxing. Glenelg Inn provided good food but a little expensive. We stocked up with a few meals at Tesco before leaving Inverness which was worth doing. The Kylerhea Ferry was a good experience. There are wildlife hides the other side. Worth a visit. The brochs were interesting, Sheena's Tea Hut at Corran was fascinating. We enjoyed our stay in chalet #4. Climb Beinn Sgritheal on a clear day, visit The Brochs, take the Glenelg Ferry to Skye, eat and drink in the Glenelg Inn. Effie and her son were very friendly and helpful. 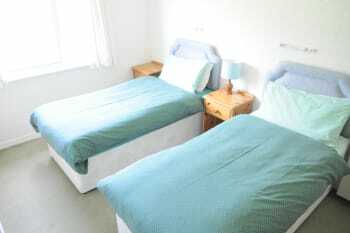 The accommodation was very clean and well maintained. Kitchen was well stocked with pots and utensils making it easy to prepare your own meals. Jacuzzi bath was a pleasant surprise, lovely and relaxing after a long day walking. Views from the chalet were gorgeous, cows and sheep close by added to the view. Village of Glenelg is nice to wander around - lovely stone beach with gorgeous views; ruined barracks adding to the scenery. Visiting the brochs is a must, found them very interesting - lovely waterfall to see on the way to the brochs. Would recommend a visit to Connal - the views are breathtaking, and there are various walks at Connal for all abilities. The ferry over to Skye was like taking a step back in time. Definitely the way to see Skye for the first time as you have to travel through the Cuillins to join on to the main road. We visited both Portree and Blackford on Skye - both lovely places with gorgeous views and plentiful eating places and shops. Eilean Donan Castle is a must to visit as well. Fantastic view, very calm place! The chalet was very clean! Lots of facilities like washing machine, trouble dryer, and pin pong table to play! Wooden table outside to have meals or barbecue! Very happy with this place!! Lovely accomodation in in the middle of nature. Very nice lodge and beautiful view but quite far from isle of Skye and, above all, there's no phone network and the WiFi is available at the reception only. There is a good bar with restaurant and a small shop, the persons are very friendly. 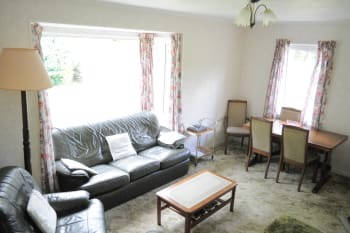 It is a lovely bungalow, comfortable and very well equipped. It is quite out of the way, not easy to reach, but wonderful. Come with full provisions and use it as a place to relax. Unfortunately we only stayed one night, but we drove to the ferry to the Isleof Skye and discovered that the waters are populated with a lot of sealions! 40 minutes from Eilean Dunan Castle. What a great place to stay! We loved the little bungalow and the town was ever so cute. And so friendly! Would recommend warning purple beforehand though that they have to pay cash! The bungalow had everything we needed and location was great. Will definatly go back! 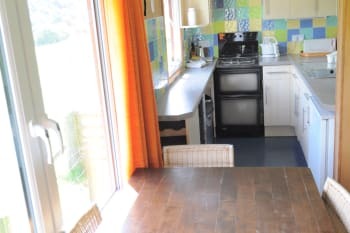 The chalet is well designed and is equipped with everything you need for a comfortable stay - bed linen, towels, a fully equipped kitchen plus sky TV. The owners have kindly supplied maps and leaflets about things to do and see in the surrounding area. The beach at Glenelg is fantastic and not too far away there is Sandaig beach, which was home to Gavin Maxwell the author of Ring of Bright Water, approx a 45 min walk down from the road but well worth it when you get there. The Glenelg Inn does the most amazing meals and caters for children too. There is a small play park with an enclosed football pitch/ basketball court which was a bonus. The Glenelg shop is open 6 days a week until 5.30pm and closed on Sunday, there is a cash machine in it if you get stuck. The ferry from Glenelg to Skye is a must, just a 10min crossing for £15 per car and you are inthe paradise of Skye, it really is magical. Its a greate location and the Chalets have lot of character. Heating works well and waterpressur is good. Some cuboards my need some tlc but that dose'nt dusturbed us. If you are coming from A87 its quite a way on a windy nerrow road wit great views. If you are coming with the ferry Kylerhea-Glenelg (what is a great experience) its a short drive on the mainland. A beautiful spot amid sheep, lambs, cows and even a tiny foal born on the morning of our arrival. Abundant birds and so peaceful,but be prepared for a good bit of driving as the location is a good way up the glen away from the main road, but once on it Skye is easily reached by bridge or the ferry which is closer and quicker but exspensive. The chalets are cosy and everything is provided to cook a basic meal. Just a pity we visited on a cold, wet and windy week. A very nice pub situated a mile or so in the village itself providing good if a little exspensive food. Excellent seafood restaurants located in the major villages and lots of walks and beauty spots in stunning countryside. Information for these provided in the chalets. Would highly recommend a boat trip from Portree to catch the wildlife and for adventurous drivers a drive up and over the mountains to Applecross. Exciting to say the least. Absolutely lovely place and look forward to staying there again the next time I'm in Scotland. Very relaxing atmosphere and the Scotland I was hoping to see. This was an amazing accidental find and we couldn't have been happier. The road there is a bit scary if your from Scotland or familiar with driving on the left side of the road. The scenery is unbelievably beautiful. There's a wonderful cafe and bar further down the road if your looking for a place to eat and enjoy wonderful conversation. Our stay here was absolutely phenomenal! We loved every minute of our short time there and wish we could go back. The drive to the location is beautiful and the chalet felt like home! We miss it already and definitely will be coming back to this chalet if we come to Scotland again! 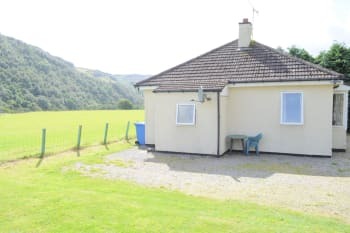 A cosy and comfortable cottage in a nice, peaceful position - we enjoyed watching the lambs in the field behind and the buzzard on the hillside above. The beds were nice and comfy, the shower, cooker and microwave were all good.. We had a few problems getting the channel we wanted on the TV, though, and some instructions would have been handy. The Glenelg Inn is lovely for a meal and had live music the evening we were there. The shop in Glenelg is quite good for basics and the garage at Dornie. Main store is at Kyle of Lochalsh We loved walking around the coast at Corran and the ceilidh Place in Corran seems to have quiz nights and other events. We also popped down to the RSPB place which the little turntable ferry at Kylrea takes you over to and watched for the sea eagle and otters. Lots to see and do here - highly recommend it. The upgrade to the bungalow was very nice and unexpected. The accommodation was very welcoming - the decor and furniture was dated, but cozy and comfortable. The Sky TV and radio didn't work, but we were able to watch the VHS tapes provided and listen to CDs. The kitchen was well-equipped and the heating and fireplace worked well to warm us up. Most importantly, the location and views were absolutely stunning! We would definitely return and book the bungalow in future - it felt like a home to us for the short time we stayed. The Glenelg Inn serves excellent food and the ferry over to Skye was a beautiful experience. The cottage was very peaceful in an amazing location. We intend to visit again. Absolutely beautiful location - away from all hustle and bustle. Lovely cosy chalet and the kids were made up to be staying so close to so many animals. Will be back! The local shops close early be prepared - don't underestimate the secluded feel of the area the good places to eat will be busy best to book! A bit dated but warm and clean. Remote with peace and quiet being the order of the day. Booking.com rating is way below the level we would have intended (at least 8 to 9 from us ). Our comments did not warrant their view at all -other users please note . Disregard booking.com rating. Our minor criticisms to them have been misinterpreted in our view. Bring a pet and leave the kids at home!! it was verry nice and the Landlady Eva verry gentel. Sorry about my English.... is not so good... Eva: I vergot to tell you: Have a look to the cocker in House Nr. 1. not all the plates gets hot. go shopping befor you are in Glenelg Lamont Chalets... only a little shop in Glenelg. Traveling to Isle of Skye.... wunderfoll!!! Castles and Fields, Mountans and Hills.... to fell in love with!!!! In a truly beautiful location, ideal to get away from it all. Small cabins which will sleep four. 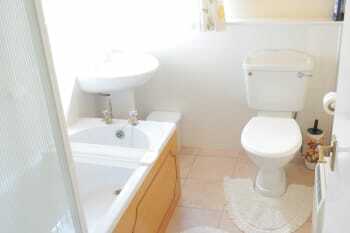 Bathroom very clean, could not fault. However, kitchen very dated. On the road to famous Kyleakin Ferry, just watch out for the midges. Very clean, good equipment place. Beautiful views,great service. It is imperative that Lamont Chalets get set up to receive credit cards. No one expects to have to pay cash when staying anywhere in today's world. There was nothing supplied for tea or coffee making. This is standard in most places. Make sure you have sufficient cash on you to pay for your stay. And bring your own coffee or tea supplies. The chalets are clean and cosy with a beautiful view of the valley. It is in an out of the way location on a skinny little country road but is worth the drive. About 2miles further down the road is the quaint little Glenelg Inn with great food and a lovely garden area where you can have a beer and enjoy the spectacular view of the Isle of Skye across the bay. Dinner is not served until 6:30pm and if you are a non resident you must book breakfast ahead of time. About 3 miles from here you can catch a ferry to Skye but get there in plenty of time. It only holds six cars. Great location. Lovely view. Stayed for 3 nights. Self catered for breakfast and evening meal. Facilities clean. Cosy and warm in the evening as heaters available. Pet friendly but must be kept on a lead due to closeness of livestock. No phone or wifi signal great for getting away from hustle and bustle of technology. Just thought decore could be updated a little. Would stay again. Great as long as you dont mind travelling about an hour to get to isle of skye. Eilean Donah castle on the same route. 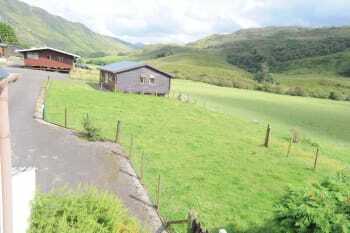 A lovely chalet in a quiet rural location. 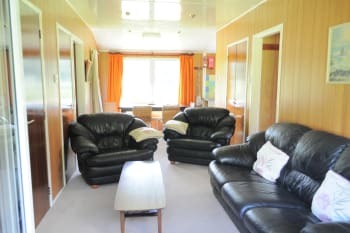 The chalet was well equipped and the beds very comfortable. Welcoming owner. The Glenelg Ferry was a lovely way to get across to Skye. Glenelg Inn served good food. Misty Isles boat trip was brilliant. We enjoyed our stay at Lamont Cottages and the scenery around it is spectacular. Remember to take tea coffee sugar and milk etc as there is only one shop in Glenelg and it was closed when we arrived. 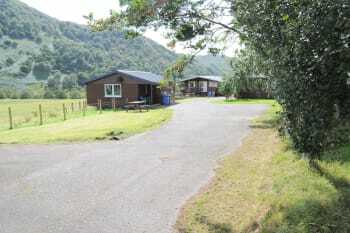 A great location if your looking for a base to explore the Isle of Skye region of Scotland. Quiet, peaceful and stunning location. 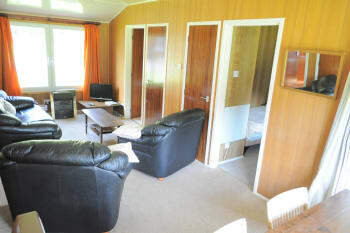 The bungalow was very well equipped, clean and comfortable. Thank You for very well equipped chalet and for waiting on our agreed late arrival! We look forward to stay here again on our future trips to the area. You will have loads of space and useful amenities for Your stay. Please note, there is no mobile network coverage and no WiFi, therefore, You will have a peaceful and laid back experience. Also, keep in mind, that there is a very convenient ferry crossing from Glenelg to Isle Of Skye from Easter until October seven days a week usually every 20 mins (£15 one way and £20 return for one car with up to 4 passengers). This will save You fuel and time compared to travel by road. La ubicación apartada nos ha permitido conocer unas vistas increíbles. Lovely, quiet, peaceful, perfect to breath fresh air, and very near the ferry to Isle of Skye. Very typical and pleasant for a family of four. GOOD LOCATION ,LOVELY VIEW. FIRST CLASS. Very nice quiet location surrounded by mountains, a lot of privacy to enjoy your stay. The chalet was well stocked with necessary kitchen equipment. Very convenient for exploring the Isle of Skye. No mobile reception and no wi-fi may be an issue for some. It takes an effort to get there as the road is narrow. Excellent location, easy to find. Lovely host, very accomodating. No facilities, pubs etc close by so please ensure you have all food and drink. Great value for good basic accommodation. Very clean and cosy when we arrived late on a chilly night. Very relaxed and unobtrusive owner. Would have liked to have stayed longer. Fantastic countryside. avoid the sunday roast at the glenelg inn, it was a disgrace. We like it very much! The chalet and bungalow are in their best condition and this made us feel like our own home. Lovely cottage, it felt warm and homely and was like going back in time. No Internet or phones just vhs tapes and bored games. It was a pleven surprise! Be careful on the roads as they are scary! Excellent stay at a best location possible in the highlands. We stayed for two nights, the chalets were very cozy and comfortable. The owner was very helpful and accommodating. The GPS takes you to a location/village before the chalet. Please avoid the turn shown by the GPS and continue for another 200 yards and you can see the Lamont chalets. Great place to spend the night, I'd recommend it to everyone. the lack of WiFi is the only weak point. Excellent location, perfect to just site, enjoy the nature, read a book, relax away from everything that messes with your mind! Close to the ferry to Skye and value for money!! The bungalow is extremely well equipped with pots of all sizes, washing machine, very comfortable sofa and armchairs in the living room, etc. The landlady was very kind. Despite the rain she came with us to show us where the bungalow is. We would certainly recommend a visit to Eilean Donan castle, which is in the vicinity. Wonderful location to enjoy the Scottish outdoors. Thank you for a lovely stay, wish we could have stayed longer and thanks for letting us stay in the cottage. It was lovely and warm and just what we both needed to relax. Local shop has the essentials. Lovely walk to Sandaig just up the road. The stone bungalow is amazing, as is the view. Thank you! Only stayed one night as working next day so not much chance to see sights, eat out etc. Everything about the stay was excellent! Effie was very welcoming and made us feel very much at home. We would definitely recommend this for visitors of the area. Follow the instructions given by the owners about getting there and you shouldn't have any problems. Take your camera. The facilities was well equipped, clean and comfortable, and the reception was friendly and welcoming. Well above expectation for the rates. 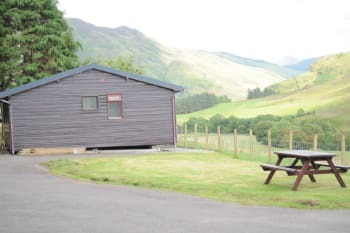 The surroundings and views area beautiful, perfect for a quiet weekend breakaway, and well located for exploring the Highlands and Skye. A narrow, winding, though scenic route takes you to the facilities. A fair distance from restaurants, so dine before arriving or prepare your own meal in the well equipped kitchen. Shops are bit far, so grab all you need and relax and enjoy. No phone signal and WiFi. We stayed in the bungalow for one night before taking the Glenelg ferry over to Skye the next day. Bungalow was comfortable and convenient. Even has SKY tv. Location is excellent , pitch black nights and silence apart from the odd owl. This is not a 5* hotel but gets 5* as value for money. FANTASTIC LOCATION!!!!!!!!!!!!!!!!! !!!!!!!!!!!!!!!!!!!!!!!! !! Excellent accomodation in a beautiful valley. ONE of the most beautiful places in SCOTLAND. If you stay here you must try GLENELG INN for dinner. Could not find anything negative to say about the chalet if you consider the cost. We were welcomed by the owner and given information on the local area and facilities. Can I also add that it would be could to inform everyone that although you give your credit card details when booking the owner does NOT take cards. There are no local banks in the area although the post office will process cards. The local pub has a good menu and good value.but every busy. Can I also add that it would be could to inform everyone that although you give your credit card details when booking the owner does NOT take cards. There are no local banks in the area although the post office will process cards. The local pub has a good menu and good value.but every busy.